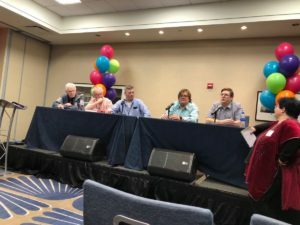 Heading to the Chicago Fest? We’re really looking forward to the weekend – come and say hello! 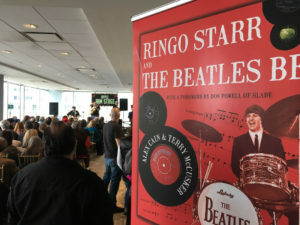 Well, we’re back home after a fantastic weekend at the New York Metro Fest For Beatles Fans. We took the opportunity to stay over and take in the sights too! 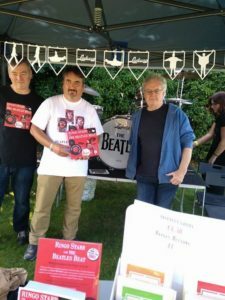 We had an amazing time meeting some wonderful people of all ages, race and creeds – it’s amazing how the love of the Beatles and their music brings so many people together. 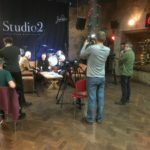 Highlights included our participation in a ‘Liverpool Friends’ discussion (with Billy J Kramer), two drum symposiums hosted by Modern Drummer’s Billy Amendola (with Liberty Devitto and Steven Wolf also on the panesl), chatting all things Ringo with Alex Orbison (or “Richie” as he knows him…), meeting Neil Innes, plus catching up again with Ringo’s Beatles drum curator Gary Astridge. 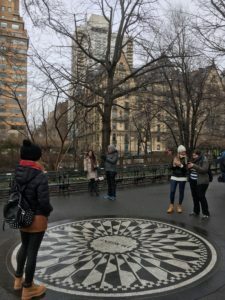 Strawberry Fields, with the Dakota in the background. 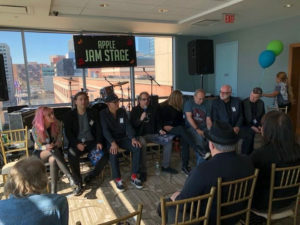 We are honoured to be official guests and amongst such esteemed company at the Fest For Beatles Fans (New York Metro Fest) in March! 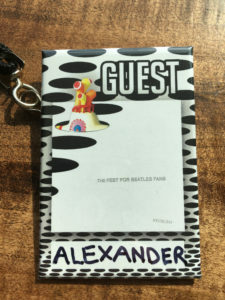 Looking forward to meeting so many Beatles and of course Ringo fans! 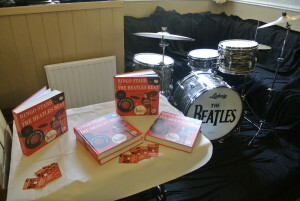 We’ll also have copies of Ringo Starr And The Beatles Beat available for personalised signing! 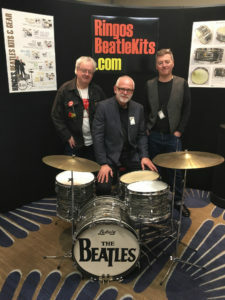 Alex and Terry recently met up with Gary Astridge, curator of Ringo Starr’s Beatle-era drum kits. 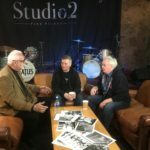 We were filmed together at Parr Street Studios in Liverpool, discussing all things Ringo for the forthcoming documentary feature “Finding The Fourth Beatle”, the companion piece to the book of the same name, by David Bedford and Gary Popper. 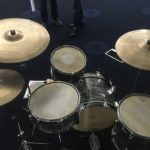 A couple of days later we were at the Manchester Drum Show to see Gary deliver his superb talk on Ringo’s Beatle drum kits. 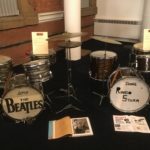 I’m sure Gary won’t mind us saying the highlight of the day was hearing former Drum City employee Dave Golding relate his first-hand accounts of dealing with Ringo’s Ludwig drum kits. 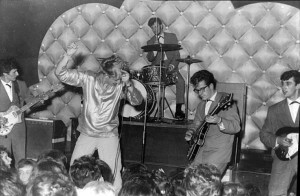 Terry and Alex with Dave Golding. 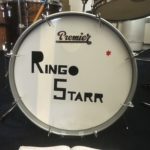 Amongst his duties, Dave fitted Ringo’s Rogers tom mounts, and with Eddie Stokes arranged the design and painting of the iconic “Drop-T” bass drum logo. 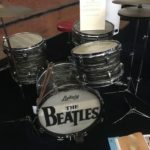 Needless to say, Dave is now the proud owner of Ringo Starr And The Beatles Beat! Nearly ready for Gary Astridge. 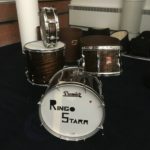 Julien Clapperton’s amazing ‘Ringo’ drums. 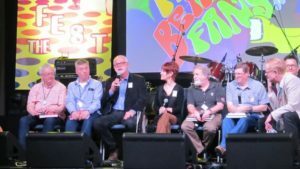 We had a great time and met some fabulous people at the 2017 International Beatleweek in Liverpool. First up, we attended St. Peter’s Church Fete in Woolton Village. 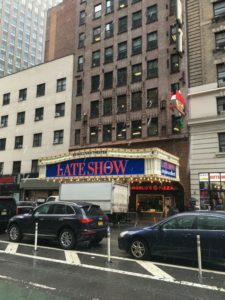 Beatles aficionados will know this is where “John met Paul” back in 1957. 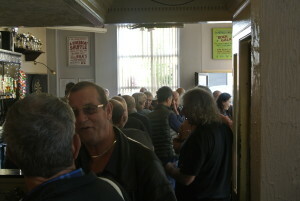 The following day we were at the Beatles Convention at the Adelphi Hotel. 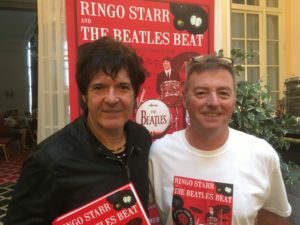 Highlight of the day was meeting Clem Burke of Blondie, who of course left with a copy of Ringo Starr And The Beatles Beat! Alex with Clem Burke of Blondie. 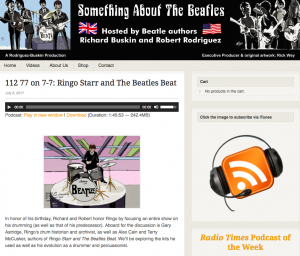 We were delighted to be asked to contribute to the Something About The Beatles podcast (Radio Times podcast of the week, no less). 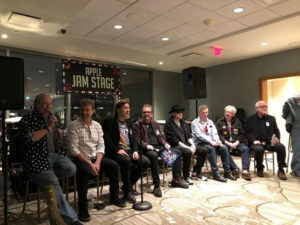 Conceived and hosted by authors Robert Rodriguez and Richard Buskin it’s a quite brilliant show, and we’re honoured to have been part of this episode focusing on Ringo’s drumming. 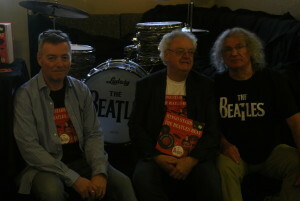 We had a FAB time at the launch party of Ringo Starr And The Beatles Beat on Monday May 22nd. Slade legend Don Powell was on hand to lend his support and add his signature to his foreword. 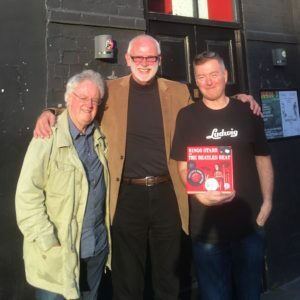 Thanks also to Dave and his staff at the Empress, Brian Farrell, Tony O’Keefe and David Bedford for their support, and to everyone who made it such a special night. 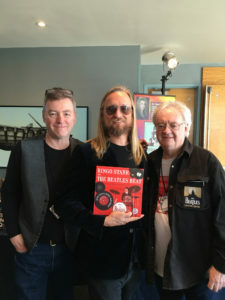 Terry and Alex with Don Powell. 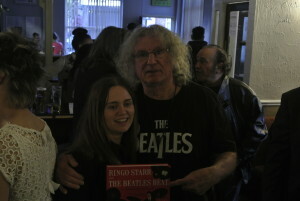 Don Powell with a proud new owner of Ringo Starr And The Beatles Beat. 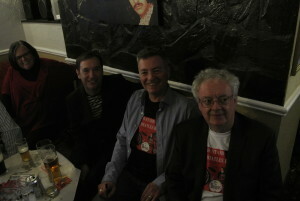 Alex and Terry with Tony O’Keeffe of Cavern residents the Shakers. 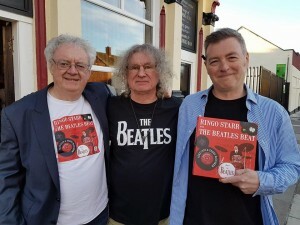 Don Powell of Slade (a massive Ringo fan) kindly wrote the foreword to Ringo Starr And The Beatles Beat, and Terry caught up with Don at a recent Slade gig. 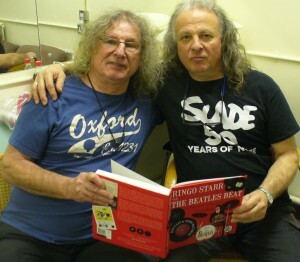 Here’s Don with Stage Manager Tim perusing the book backstage. 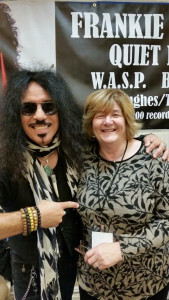 Here’s Good ‘Ol Freda Kelly with Frankie Banali, drummer with Quiet Riot. 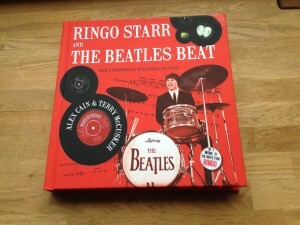 Thanks to Freda, Frankie has a copy of Ringo Starr And The Beatles Beat. Be happy like Frankie and get your copy by clicking the Buy Book link above! 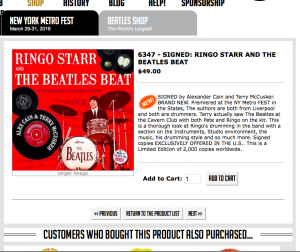 Ringo Starr And The Beatles Beat Is Now Shipping! 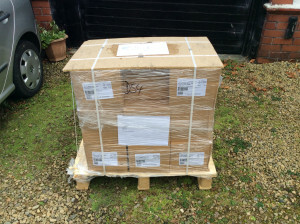 We’ve taken delivery of Ringo Starr And The Beatles Beat and all pre-orders have now shipped. 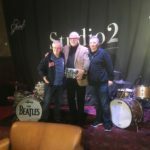 Ringo Starr And The Beatles Beat Goes To Print! The proofs and cover have been signed off, and we’ve gone to print! Please come back soon for the definitive October release date. 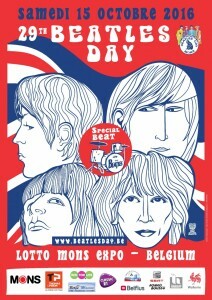 We’re delighted to be attending the 2016 Beatles Day in Mons, Belgium on 15th October. 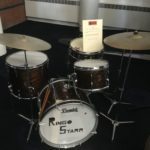 We’ll be bringing our 1964 Ludwig Super Classic “Ringo drum kit”, plus copies of Ringo Starr And The Beatles Beat, which we’ll be happy to sign! 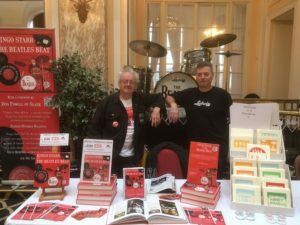 We had a great time taking pre-orders of Ringo Starr And The Beatles Beat at the Beatles Convention in the Adelphi Hotel in Liverpool. 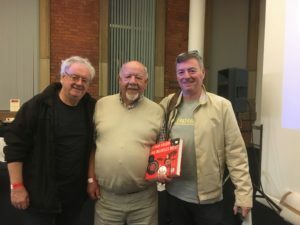 It was good to meet up with those of you had purchased the ebook, and displaying our proof copies. 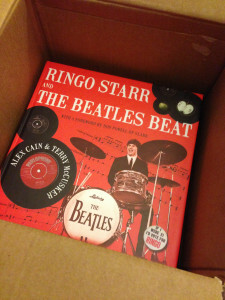 Ringo Starr And The Beatles Beat Proof Copies Have Arrived! 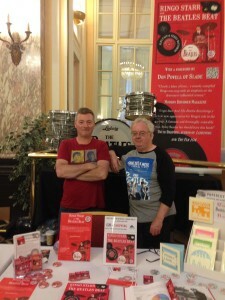 Alex and Terry will be manning their stall at this years Beatles Convention in Liverpool on August 28th. 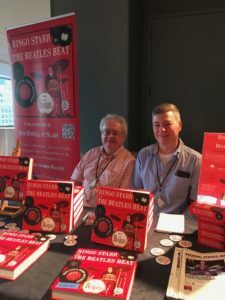 Come and say hello, and have a look at our proof copies of Ringo Starr And The Beatles Beat, and place an order! 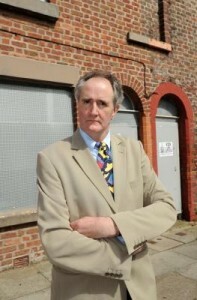 Philip Coppell outside Ringo’s birthplace, on Madryn Street. 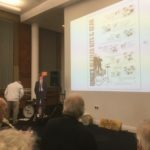 We are saddened to learn of the passing of Blue-Badge Beatles tour guide Phil Coppell, who’s words of encouragement about our project were very much appreciated by Alex and Terry. 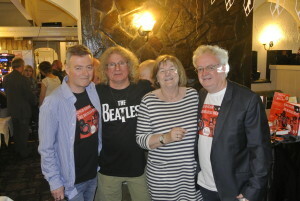 Phil was a lovely guy who will be sorely missed by the Liverpool Beatles community. 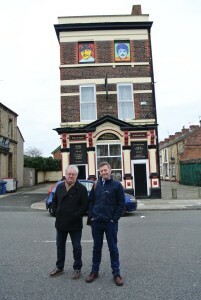 Terry and Alex in front of the Empress pub and Admiral Grove. 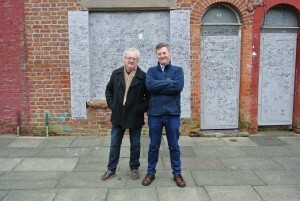 Terry and Alex visited Ringo’s old neighbourhood to take photos for the print version of Ringo Starr And The Beatles Beat. 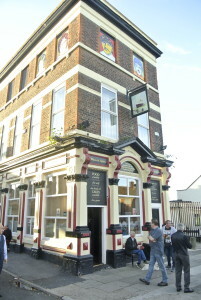 Ringo’s birthplace in Madryn Street. 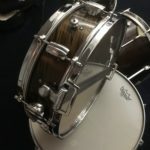 Modern Drummer Review of Ringo Starr And The Beatles Beat. 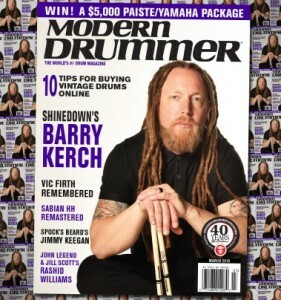 Read about Ringo Starr And The Beatles Beat in the March issue of Modern Drummer! 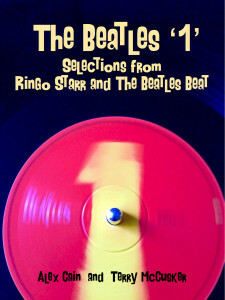 Now available from Kindle and iBooks stores – The Beatles 1 – Selections From Ringo Starr And The Beatles Beat. 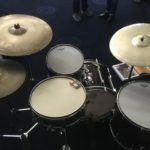 In the form of selections from their book Ringo Starr And The Beatles Beat, Liverpool drummers Alex Cain and Terry McCusker explore the percussive elements of the 27 song compilation album ‘The Beatles 1′. 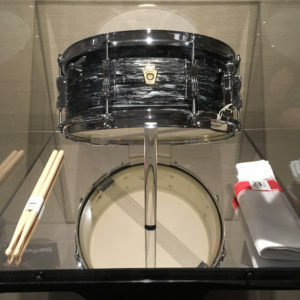 There’s something for the drummer and non-drummer alike – discover how Ringo’s sympathetic and instinctive drumming interacted with the personalities of his bandmates and recording engineers to shape the Beatles’ beat. 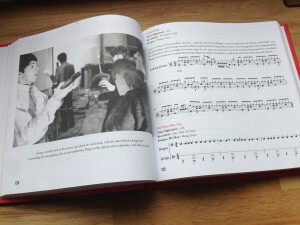 Contains (in italics below) pre-release material from Part Two of Ringo Starr And The Beatles Beat. 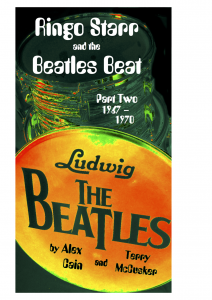 Part Two of Ringo Starr And The Beatles Beat is now available from the Amazon Kindle and Apple iBooks stores. Follow Ringo’s journey through the Summer Of Love, to the final recording of I Me Mine in the depths of the Apple Studio in Saville Row.